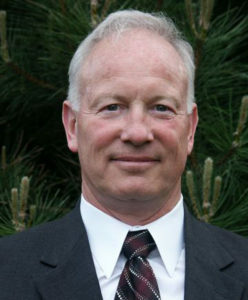 Dennis Waller, CLI, has been operating Waller & Associates based in the metropolitan Milwaukee area since 1992. Waller & Associates focuses on consulting/expert witness testimony for matters related to police policy, procedure, and practice. Denny specializes in matters related to the use of force, vehicle pursuits/emergency vehicle operations, and investigative issues. Denny has been retained over 700 times as a police practices consultant and/or expert witness by attorneys representing both plaintiffs and the defense in 36 states plus the District of Columbia. He has served as an expert witness in federal courts, state courts, and before administrative agencies. Denny has a bachelor’s degree in police administration from Michigan State University, a master’s degree in public administration from Florida International University, and over 3,700 hours of law enforcement training. Denny has served as a police officer, field training officer, detective, sergeant, lieutenant, department training officer, police academy director, and chief. Denny has been a certified law enforcement instructor in Michigan, Florida, North Carolina, and Wisconsin. He has received specialized certifications as a police firearms instructor, police defensive and arrest tactics instructor, OC instructor, psycho-motor skills design instructor, and internal affairs investigator/supervisor. He was trained as an assessor for the Commission on Accreditation for Law Enforcement Agencies. He has achieved the status of Fellow of the American College of Forensic Examiners and Diplomate of the American Board of Law Enforcement Experts. Denny has also taught a variety of law enforcement and related courses at the college and university level. Waller & Associates is a licensed and insured private detective agency. In 1988 Denny achieved the status of Certified Legal Investigator [CLI], one of approximately one hundred in this country. Denny has extensive experience in a wide range of investigative matters. Denny has national and worldwide resources that provide a global capability to address the investigative needs of attorneys anywhere.